Today’s townland is Creevyloughgare, south of Saintfield in County Down. Most of Creevyloughgare is farmland. 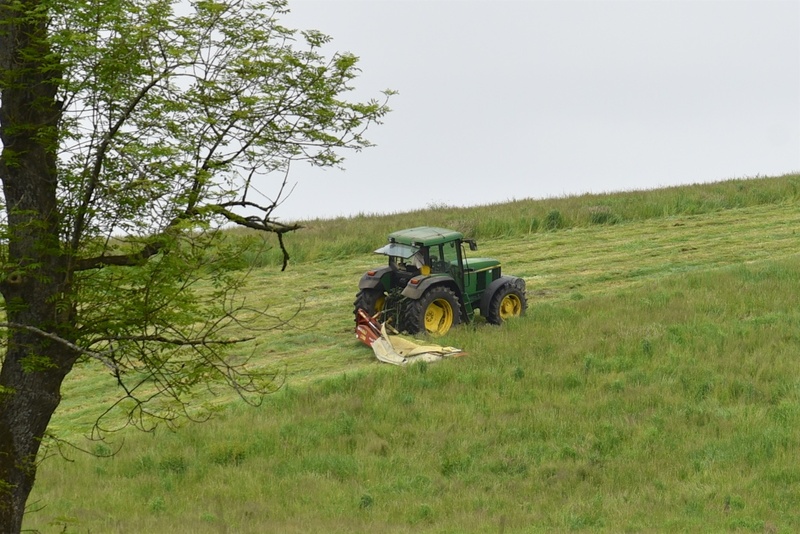 I visited in June 2018, when the grass was being cut for silage. Two roads run north-south through the townland: Listoder Road and Drumnaconnell Road. To the east of the Listoder Road is Rowallane, a property owned by the National Trust. 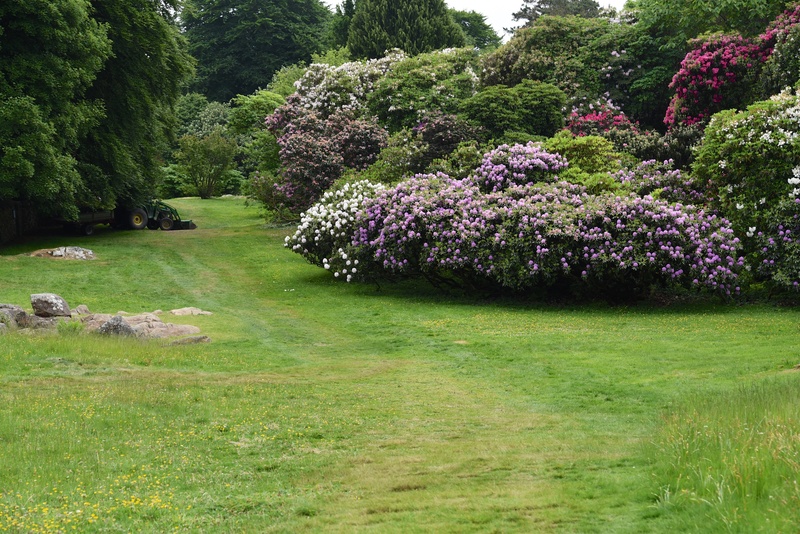 The gardens at Rowallane are famous, so I cheated by including some of their rhododendrons in last week’s blogpost. 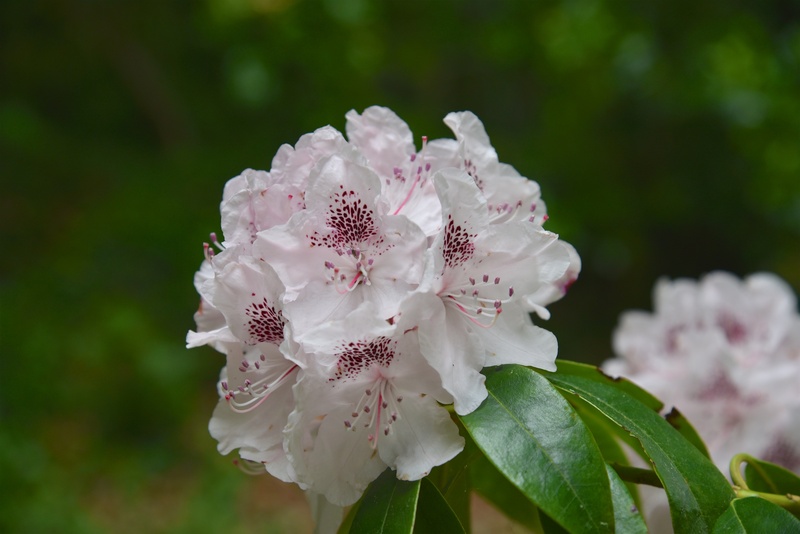 Here are some more flowers. 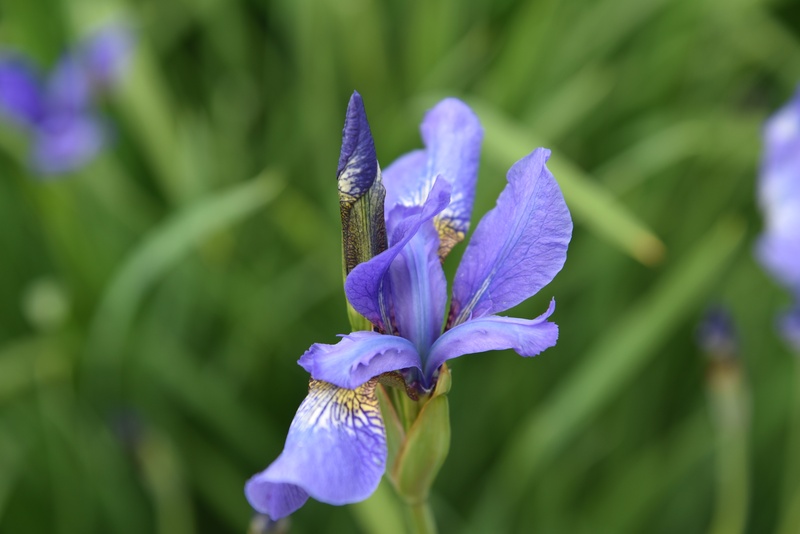 This blue iris is in Rowallane’s walled garden. 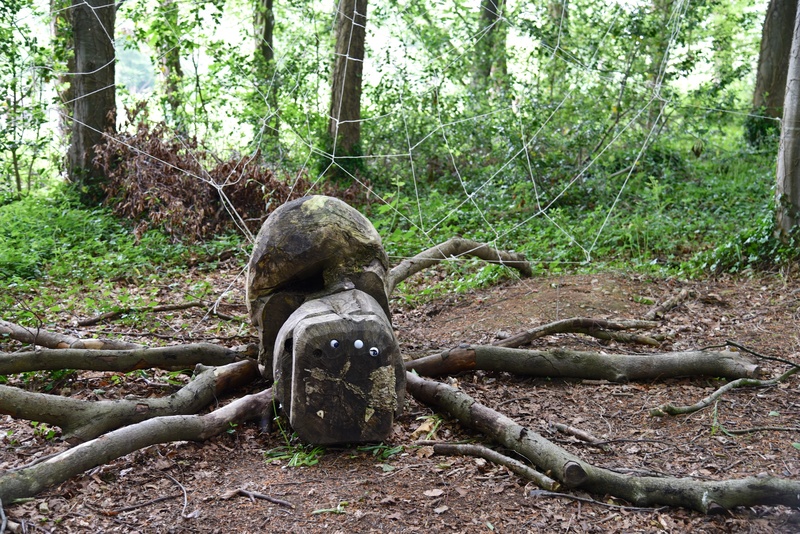 After seeing the gardens close to the house, it’s worth taking a longer walk through the woods, unless you’re scared of spiders. Revd. John Moore bought this land and started building a house in the 1860s. He chose the name Rowallane after the Ayrshire homeplace of his great-great-grandfather. For further information on the history of Rowallane I recommend the 2015 paper “The Making of Rowallane” by the Northern Ireland Heritage Gardens Trust. Before the Moore family arrived, where did the name Creevyloughgare come from? Well, there’s something missing from my images – a lake, which is located in the southeastern corner of the townland. According to PLACENAMESNI the early Irish name for the lake may have been Loch gCearr meaning ‘crooked lake’ or Loch Gearr meaning ‘short lough’. 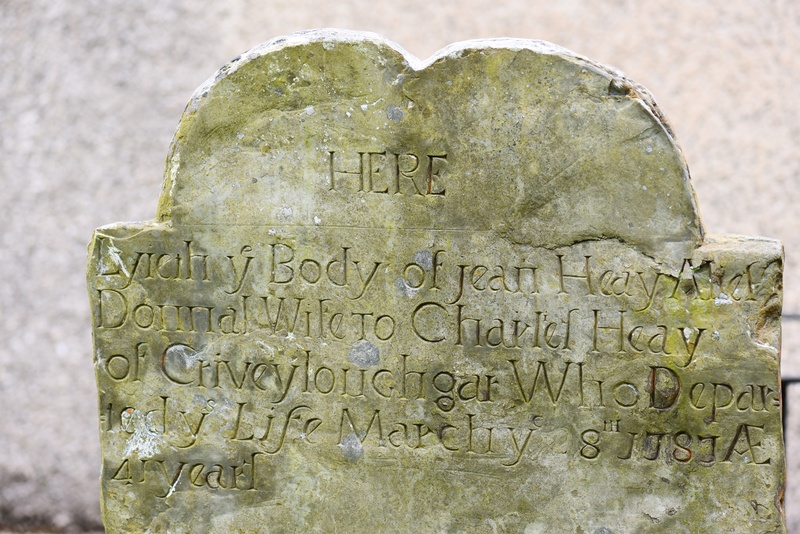 Either way, I haven’t managed to take a photo of the lake, just a gravestone from 1787 with an older spelling of the townland name. 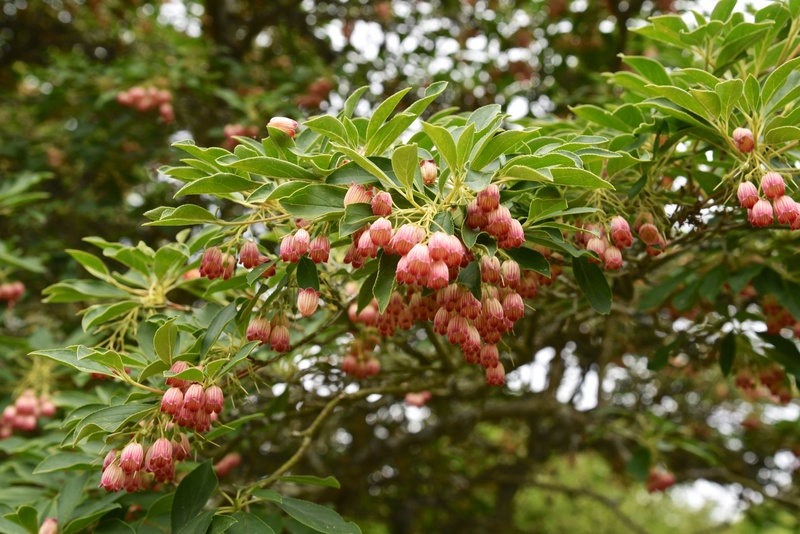 I can do better with the ‘Creevy’ part of the name, because that comes from the Irish Craobhaigh meaning ‘a place of branches or trees, a bushy place’, and the current planting scheme for Rowallane has plenty of trees, branches and bushes. Which townlands border Creevyloughgare? To the north, Drumaconnell East and West. To the east, Leggygowan. To the south, Cahard. To the west, Tonaghmore. Click here for a map of Creevyloughgare on Townlands.IE. You’re the expert when it comes to images of spiders and bugs and moths. I can only capture giant wooden ones.